Last week, we reported that Ele.me is in talks to merge with Baidu’s Waimai. This would create a giant in the space. Ele.me already has 28 million monthly active users as of May. Over 92 percent of the customers used smartphones to place an order, the China Internet Network Information Center or CNNIC said in its report. Dianping was founded in Shanghai in April 2003 as the very first website worldwide providing independent consumer reviews on local services. Today Dianping is China’s leading O2O (Online To Offline) platform for urban service. 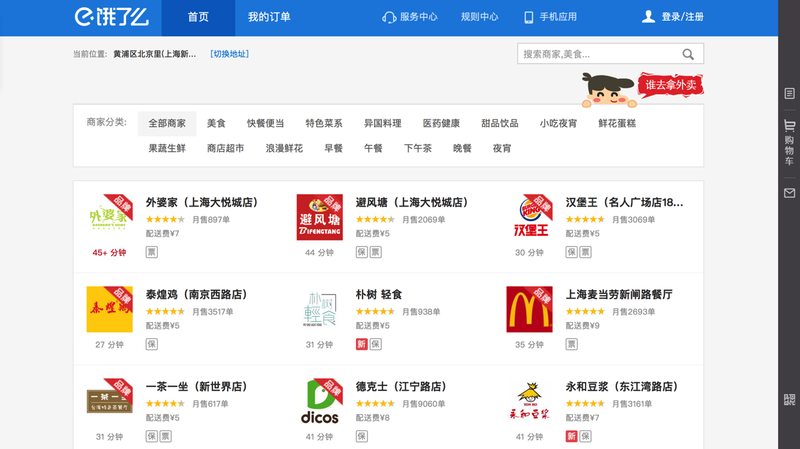 In addition to merchant information and consumer reviews, Dianping also offers group-buying, online restaurant reservation, take-out service, e-coupon promotions, and other online to offline services. With over 200 million accumulated users, Dianping APP has become an indispensable smartphone APP for Chinese consumers, and the most powerful online partner for local businesses. Dianping has nearly 75 million monthly active users, over 28 million reviews, and more than 6 million local businesses covering approximately 2,300 cities across China.